I made this necklace a few days ago out of the pieces from my last post. 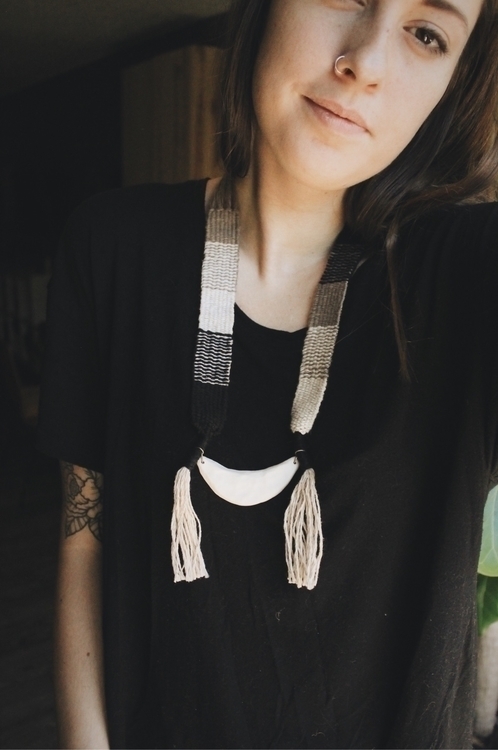 handmade with porcelain, cotton, and linen. it's the first piece I've made 100% for me in a long time and I love it.